Singapore Green Building Council awards Eqobrush with highest accreditation: 4 tick marks. This qualifies Eqobrush as a leader in the field of energy saving on chillers. 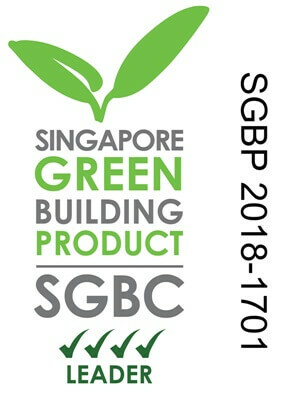 Eqobrush is now a Singapore Green Building Product (SGBP) and building owners automatically receive 1 point on their BCA (Building and Construction Authority) Green Mark scheme upon installation. To intensify the move to a greener future, the Building and Construction Authority (BCA) has launched a new energy rating for buildings that are at least 60% more energy efficient with the 2005 building codes. This was announced on Wednesday September 5, 2018, the first day of the Singapore Green Building Week (SGBW) at Marina Bay Sands. There is more than the additional point that Eqobrush equipped buildings receive in their journey to obtain that sought after Green Mark Platinum: stable chiller performance at the best possible COP imaginable. – The automatic tube brushing system in combination with our M-Box monitor can clearly demonstrate the savings on electricity in kW/RT on the entire HVAC-system. Easy money in the bank for this 1-year pay-back investment. 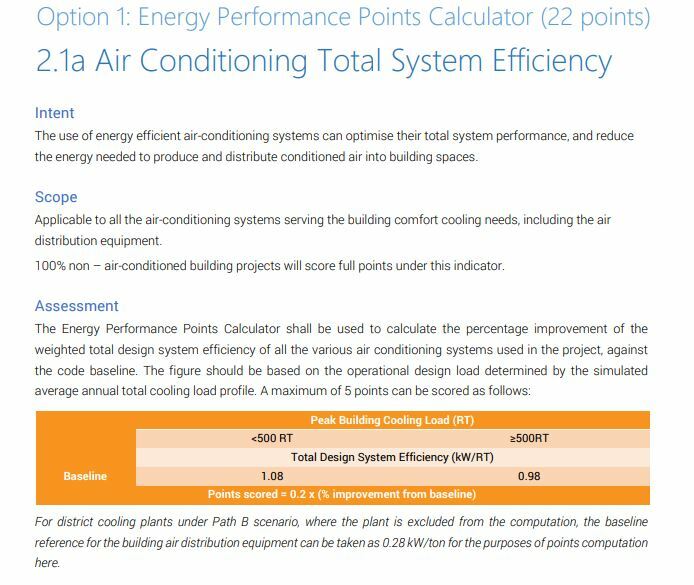 – The proven improvement can generate additional points when used in the Energy Performance Points Calculator. With an average of 10-15% efficiency improvement, this may add another 2-3 points to the tally. Find the extensive description on the Energy Performance Calculator (pg 58) in the PDF downloadable from the BCA. See screenshot below. For sure, the cash incentives set aside by the BCA are interesting but should be considered only the cherry on the sweet pie of saving substantially and continuously on the electricity bill.